Songs of Eretz Poetry Review is pleased to present “Plague Graffiti” by Beatriz F. Fernandez. Fernandez’s chapbook, “Shining from a Different Firmament” (Finishing Line Press, 2015), was featured at the Miami Book Fair International in 2016. She’s a former grand prizewinner of the Writer’s Digest Poetry Award and has read her poetry on South Florida's NPR news station. Her work was chosen in a national competition for the Arte Latino Now 2017 exhibit in Queens College, Charlotte. For publication news visit beasbooks.blogspot.com. of remembrance beside the local gentry. but for those that may survive. the Black Death hounds my shadow. Poet's Notes: I often write in response to interesting articles that come my way. In this case it was an article about archaeologists discovering hidden tributes to the dead carved on the walls of medieval churches following bubonic plague outbreaks. They discovered so many they actually had to form groups of volunteers to uncover them! I tried to imagine how the parents who lost their children to the plague must have felt, needing to run for their lives, not having even enough time to properly mourn their dead, and nowhere to bury them. Their desperate desire to memorialize the names of their lost loved ones in a sacred place and how it finally came to light centuries later is rather miraculous! 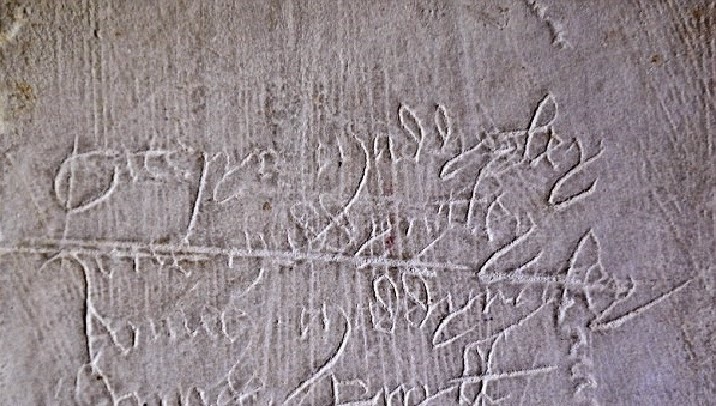 ref: "Cambridgeshire church plague graffiti reveals 'heartbreaking' find." (2015, 21 May). In BBC News. http://www.bbc.com/news/uk-england-cambridgeshire-31459761. 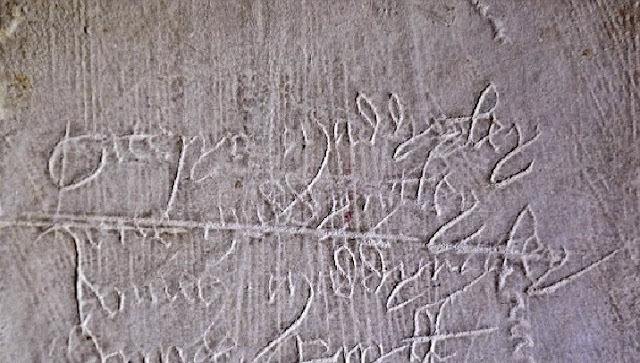 Editor’s Note: This is a unique and moving elegy that resonates as much today in the age of indiscriminate terror attacks as it would have 500 years ago during the black plague that struck Cambridgeshire.